HK-based artist Charles LaBelle's return to the Little Red Dot after the 2011 Singapore Biennale sees more of his obsessively drawn pen-and-ink drawings. 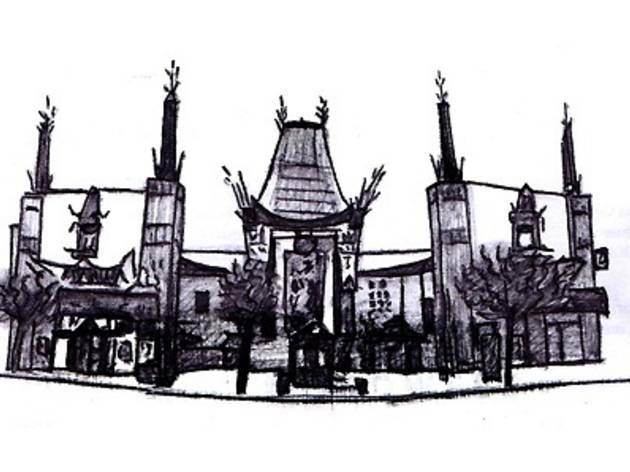 This time, there are over 250 renditions of cinemas, movie theatre and other places where films are screened – including Mann's Chinese Theatre in Hollywood, MacMahon Cinema in Paris, and Pioneer Kino in Poland, considered one of the world's oldest cinemas. 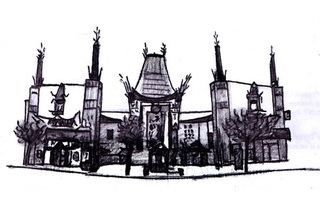 Photo (detail only): Mann's Chinese Theatre by Charles LaBelle.